Latest update to the HTTP protocol brings in improvements such as efficiency, speed and security. The HTTP1 protocol has been in use for the last 15 years now. Considering the way websites are being developed and viewed now, it is definitely time for an upgrade! Why is there a need to revise HTTP? Loading web pages on the HTTP1 protocol is more resource intensive as only one request per TCP connection is allowed. To overcome this issue, web browsers used multiple TCP connections so that parallel requests can be issued. However, multiple connections have its share of limitations. It could be counter-productive as congestion due to multiple requests affects the performance of the network. Also, browsers take more than their share of network resources. To overcome these issues with HTTP1, hacks such as spriting, data: inlining, domain sharding and concatenation have been introduced. What is HTTP2 and how does it make things easier for us? HTTP2 changes the manner in which data between the server and the client is transmitted. This latest update to the HTTP protocol brings in improvements such as efficiency, speed and security. More importantly, the switch from HTTP 1 and HTTP2 protocol doesn’t necessitate changes to existing web applications. The advantage is that new applications can make use of new features for increased efficiency, speed and security. HTTP 2 doesn’t require multiple connections to the server to load a website. A single connection completes the process of downloading various elements of a website efficiently. The header compression feature enables the HTTP2 protocol to transmit information between the server and the browser in the form of compressed binary codes. Compression of codes prevents excess overhead. On the other hand, HTTP1 requests are all exchanged in the textual format leading to excess downloads. The impact of this overhead is considerable, more so when websites are getting downloaded on mobile devices. The multiplexing feature, in the updated protocol, allows multiple requests on the same connection and downloads the files simultaneously. On HTTP 1, a new transfer can be initiated only once the previous transfer has been completed. It leads to a significant increase in the page load time. With the prioritisation feature the HTTP2 technology, requests are assigned dependency levels. Servers utilise this information to prioritise resources and deliver information faster to high-priority requests. HTTP2 protocols are binary codes and hence are more compact, less prone to errors and more efficient to parse. Significant amount of time is saved with the addition of this feature. HTTP2 is compatible with both uniform resource identifiers – HTTP (without encryption) and HTTPS (with encryption). Most web browsers such as Mozilla Firefox, Google Chrome, Apple Safari, Opera, Internet Explorer, and Microsoft Edge will support HTTP2 over TLS, which makes encryption mandatory. Why is it better for SEO? Faster website loading – HTTP2 has to potential to significantly reduce page load time. Most web browsers support the HTTP2 protocol. Easy implementation for HTTPS sites – Enabling the updated protocol for HTTPs websites will be simpler. Backward compatibility – Servers and browsers which use HTTP1 will be compatible with HTTP2-enabled servers and browsers. URL structure – The change in protocol will not impact the existing website URLs. Is it really good enough for SEO? Website performance may depend on how well it has been optimised. Also, the SSL handshake for HTTPS websites may slow down the websites. 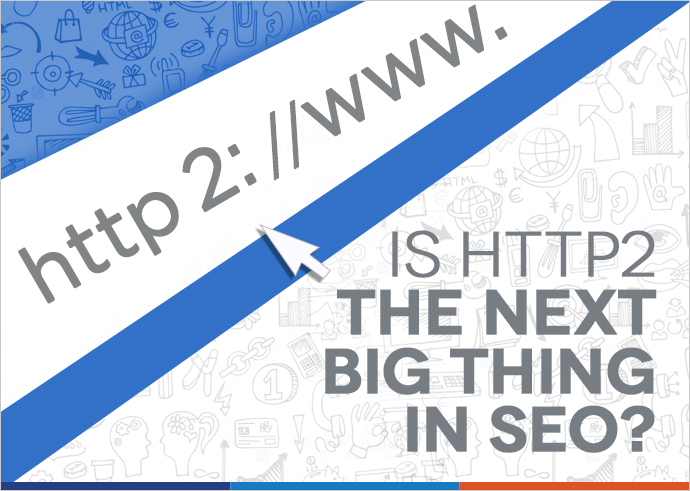 Businesses and organisations considering switching to HTTP2 technology for their websites should be ready to move to HTTPs first. Currently, most browsers do not support HTTP unencrypted.